Pre-monsoon rains lashed in several parts of Delhi - National Capital Region (NCR) on 31 may, as predicted by the Skymet Weather. The showers came as a welcome relief from the sweltering heat which the national capital was burning from. The temperature came down to 25 degree Celsius, giving a respite from the soaring temperature which has set Delhi on the boil. Few areas have recorded heavy spells of rain in short duration accompanied with stormy winds. According to reports, the day will continue to be pleasant with not much climb in temperature profile. 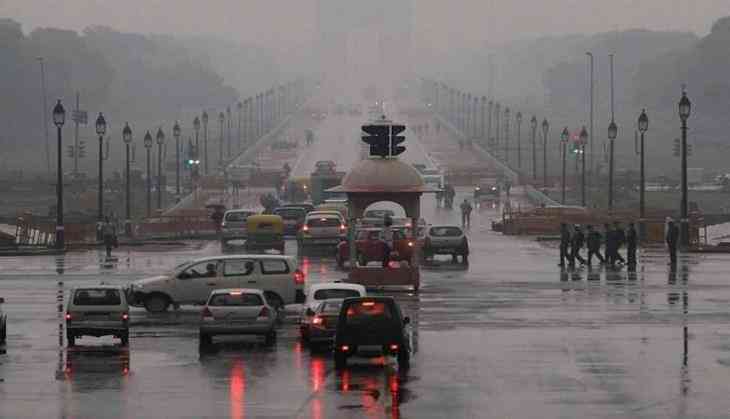 The pre-monsoon rains are expected to give a pleasant weekend to people of Delhi and NCR. According to Skymet Weather, a cyclonic circulation is seen over North Rajasthan and the adjoining Punjab. The Western Disturbance as an upper air cyclonic circulation is seen over Jammu and Kashmir. Temperature is also expected to drop marginally over these areas. These showers will occur in the next four to six hours during the late afternoon hours. These showers will affect the regions for at least 24 hours.